From Europe, to Asia, Africa and North and South America, Talgo is a global rail systems and rail vehicles’ provider, its success relying on its 75 years’ experience. 44 countries benefit from Talgo’s quality products and services, serving a train service distance of 430 million km per year. The company’s objective is represented by its ambition to be a product and service supplier that can provide comprehensive and innovative solutions on new markets and market segments. Talgo’s character is formed around a mixture of technological developments and original contributions that add value to its products and services. Spain. Talgo has a share of 55% on Spanish HS market (with 134 units sold) and 60% on the very high-speed market (with 76 units sold). Talgo has two production plants and six maintenance shops. Currently, Spain is the only country around the world where high-speed trains are bought in a truly open, free market environment. 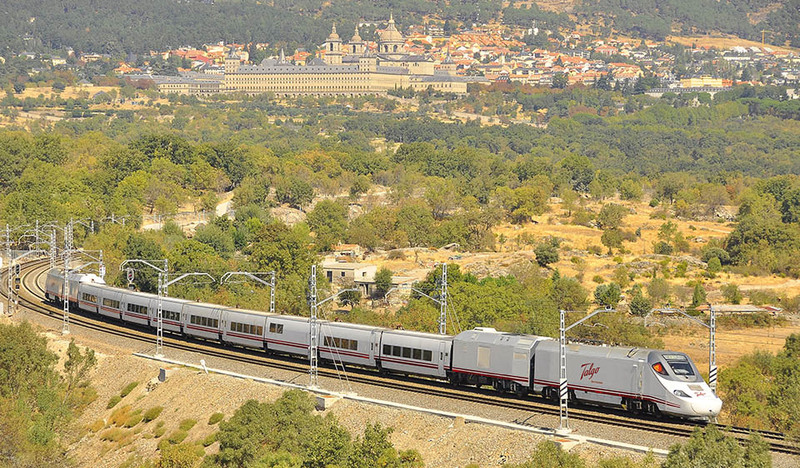 In an environment where only the best features and lowest purchase and operation costs succeed, Renfe selected Talgo 350 train, with current fleet of 50 units (designated Series 102-which entered Spanish HSR in 2005 and Series 112). Based on a high availability strategy, Talgo offers the most competitive maintenance service on the market for series 102 and 112, which are in the workshop when absolutely necessary – offering Renfe the possibility to maximise the performance of its fleet. Thus, being capable of operating at 330 km/h, their unique features have established them as a Renfe favorite. For Talgo, the very high-speed market is Spain and Saudi Arabia, which have an infrastructure that allows VHS, with trains operating at more than 300 km/h with fix and variable gauge. Talgo supplied Spain with VHS T-350 starting 2001 and in 2016-2017, the company was awarded the contract for the delivery of 30 Avril trains. In Saudi Arabia, a Spanish Consortium won the Haramain project – a 450-km HSR corridor between Mecca and Medina. Within the project, Talgo was commissioned to provide 35 trains for the service (including maintenance services for 12 years), with an option for 23 additional trains. The first trainset was completed in 2014. 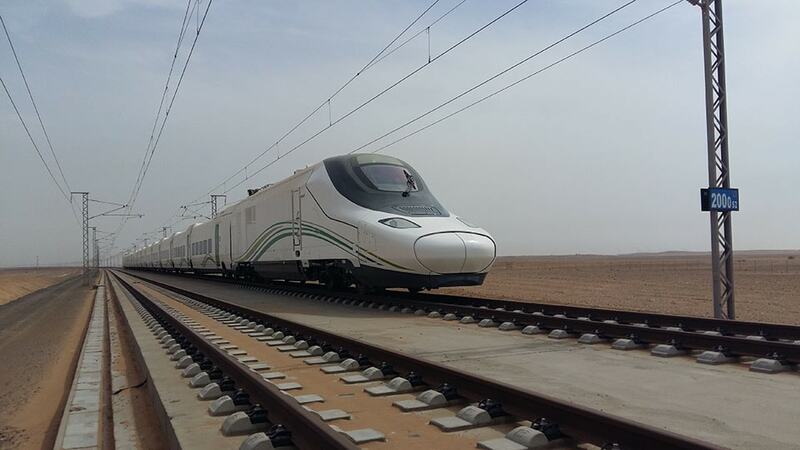 27 new state-of-art pilgrim trains were manufactured with 11 already in Saudi Arabia. Talgo 350 for the Haramain project required the development of many patents including guaranteeing protection from sand and dust, passenger comfort and safety in extreme climates, and ways to reduce wheel and rail wear in the desert. Capable of speeds of 365 km/h, Talgo 350 is one of the most efficient train in the world and is the best option for operators which want to balance the profitability and availability ratio. It is a fully-accessible train, the only one with a continuous, single-deck floor that matches interoperable platform height. By now, Talgo has produced more than 16 km of Talgo 350 trains (in the last 15 years), with 46 units in service in Spain and another 35 awaiting the start of operations in Saudi Arabia. The train offers railway operators high performance and efficiency due to the use of very lightweight materials developed by Talgo. The key of its efficiency lies in the running gear, as it uses independently rotating wheels instead of bogies, positioned between the cars, which is reducing by half the number of axles (compared to other trains with similar capabilities). Avril project was announced in 2008 and four years later, in 2012, it was internationally presented. For this train, which was designed to operate at speeds of 330 km/h (max. speed – 360 km/h), Talgo has developed a technological platform to meet the current and future needs of a demanding rail market. It is the widest very high-speed train available on the European market today and it not only increases the number of passengers an operator can carry on each journey but makes loading and unloading at stations a much faster process. It is designed to be a flexible platform, with fixed gauge (1,435 mm, 1,520 mm and 1,668 mm) and variable gauge versions, quadri-current, diesel electric, or dual, with the possibility of a standard or wide body, and the capacity to change the number of coaches while maintaining the same performance. With a top speed of 350 km/h and a price tag under the EUR 25 million mark, it is a high-capacity platform for up to 600 passengers in a 200m-long train which achieves a 37% reduction in energy consumption and cuts maintenance costs by a full 25% during a 30-year lifecycle. A true quantum leap into the next generation of sustainable mobility. Talgo 250 is the best solution to tackle interoperability problems due to differences in power supply, signalling systems and track gauge. 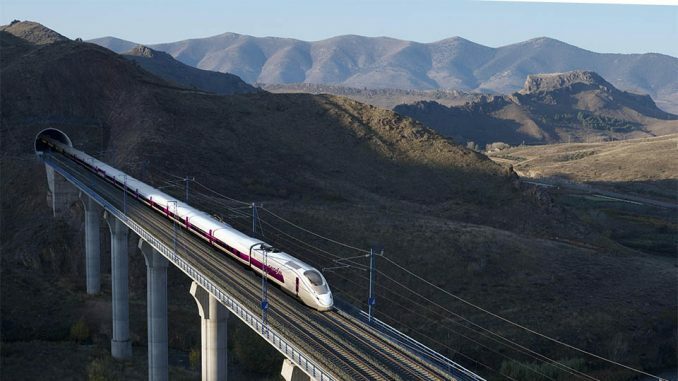 For Spain, as for other countries too, the train is the answer for a seamless operation, by crossing high-speed and conventional lines, especially in Spain, where the 1,668 mm Iberian track gauge and the 1,435 mm meet. The train utilises Talgo’s engineering efforts to maximise the use of new infrastructure and expand the scope of long-distance services. Talgo 250 Dual is the train that can meet any requirement. 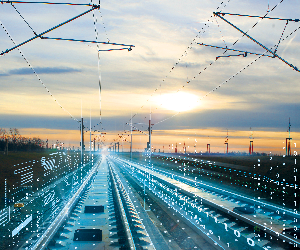 It is the only train that enables operators to overcome all barriers to seamless operation potentially saving millions in costly electrification work. 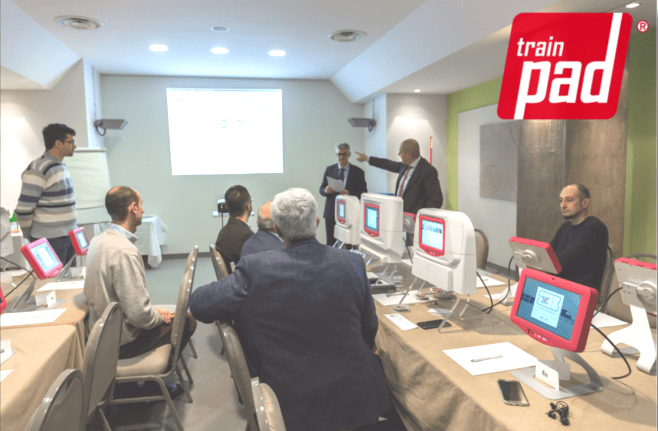 For Talgo, it was not an impossible mission to tackle the problems rising from different track gauges, electrification and non-electrified or signalling systems. Train’s unique versatility allow the operation without having to halt when changing gauge and use any power supply from the overhead line. 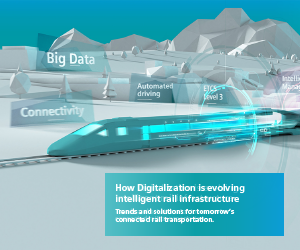 Its technology makes also possible the operation on non-electrified lines, offering optimised accessibility, low energy consumption and the lowest operating costs. Talgo’s suburban and regional EMU offers railway operators from around the world flexible configuration options as well as high levels of comfort and reliability. It is designed to provide medium speed (200 km/h – the max. speed, 170 km/h – the commercial speed) and high-frequency services on suburban and regional lines. It also offers an easy access throughout the entire train, eliminating the need for passengers, including those with reduced mobility, to use stairs or steep slopes for boarding and alighting trains or for passing between cars. This, thanks to Talgo’s unique wheel system that enables passengers to access its suburban or regional trains without having to climb steps or stairs from a 550 mm platform. Diesel and Hybrid (Diesel-Electric) versions are also available. Each year, Talgo’s trains travel tens of millions of km in America, Europe and Asia, running at speeds of up to 220 km/h, depending on infrastructure features. The company offers a wide range of solutions that can meet every need since trains can improve speed and performance on conventional lines. 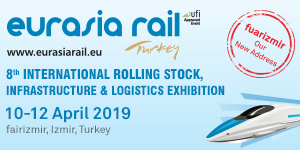 With a portfolio that supports dozens of different configurations, including locomotives and cab-cars, Talgo manufacturers tailored trains meeting the three main rolling stock standards worldwide – from TSI, in Europe, to FRA in United States, and GOST in Russia and Kazakhstan. For the international rail market, Talgo has supplied its products to: Russia, with dual-gauge trainsets for the Moscow-Berlin line, in USA, Intercity trains for Amtrak to serve USA-Canada route, in Bosnia Herzegovina, with pendular trains, Uzbekistan, with Talgo 250 units, and trainsets in Kazakhstan. 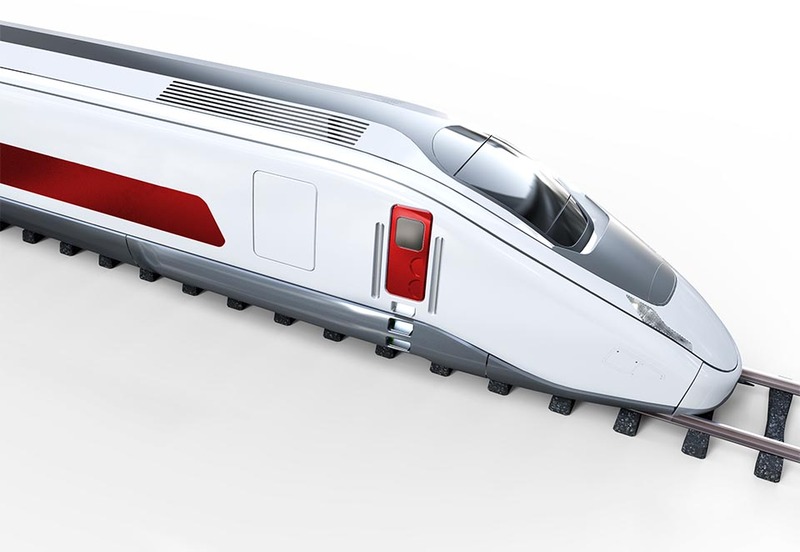 Innovation stands at Talgo’s principle, with a straightforward commitment to create better societies by excelling in the development of innovative and adaptive rail solutions ready to maximize passengers and taxpayers return, and to make a transition to a green economy feasible. Driven by its engagement in innovation concept, Talgo is involved in Shift2Rail, Europe’s largest research and innovation initiative in railway sector, rolling stock for passengers, signalling, infrastructure, passenger services, and freight being its main development programmes. 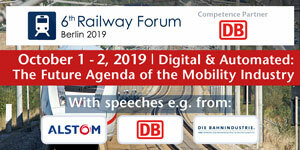 Talgo, as a driving force behind the Shift2Rail initiative, participates as an associate member in the Rolling Stock programme, which is referred to as Innovation Programme 1. Thus, Talgo is playing an important role in this programme’s key projects, including developing new traction solutions, reducing car bodyshell weight and introducing next-generation running gear. On top of that, Talgo is also participating in a series of cost-cutting activities that focuses on improving energy efficiency and reducing noise and vibrations that will benefit all five programmes. Come to see Talgo at InnoTrans 2018, Hall 4.2 Stand 305, where the company unveils its latest developments and innovations!